Yup, we are absolutely 100% going there today. We’re talking about girl stuff. The stuff that always gets talked about behind closed doors. The stuff we whisper under our breath. The stuff we often just don’t talk about it at all because for whatever reason, it’s become taboo to talk about in normal conversation. But you know what? Leave it to me to be the one to open the TMI door and talk about periods, right? Just the other day I was talking about IBS. I’ve also openly talked about my eating disorder history. 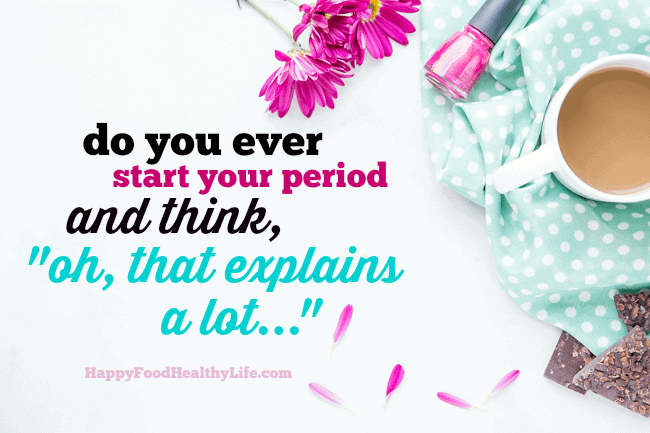 So it only seems normal that we just progress right along and have a chat about periods. Because, guess what? Having a period is a really very natural thing, so there’s no need to keep it under wraps. When you think of “That Time of the Month,” what do you think about? That’s the norm, right? We’ve come to associate having our period with these feelings. The unwritten rules of womanhood say we’re supposed to be miserable. But the truth of the matter is that it doesn’t have to be this way. Despite my massive cramps, I refuse to spend 5-7 days out of every month feeling gross, so these are the things I do to rewrite the rules and make period life a whole lot more bearable. I actually take multiple hot baths during the course of my period. Not only are they relaxing, but the hot water will actually increase blood flow, lessening your super painful cramps. I also get pains in my back and neck during this week, and a bath will always help with those pains. Plus, baths just do wonders for your mood. You’ll feel more rejuvenated. You’ll feel clean. (because yo, doesn’t period week just leave you feeling a little ick? more on that in a minute.) Take a bath as soon as you can after starting your period and as often as possible during the week. Oh I know. I get it. The absolute very last thing you want to do when you’re on your period is to get your workout on. But I promise you that you’ll feel a million times better. Moving around will help your blood flow, in turn helping your cramps. Exercise will help your mood. Exercise will help you to feel less bloated and basically fat. It’ll help you all around. And if you’re curious about making sure you’re protected at the gym, you’ve got to try out Always FlexFoam. These are not like old-school pads that feel like diapers. They actually form to your body and pretty much feel invisible. Totally stays in place even during one of my many Zumba workouts (that I refuse to miss during period week)! Plus it features teeny tiny microholes that draw fluid into a bottom layer. The bottom layer then distributes and locks away moisture, so it can absorb up to 10 times its weight, helping to keep you dry and comfortable. It’s so easy to just feel fat and bloated and want to cover that up with leggings and a huge hoodie, right? Believe me, I completely understand. I’m right there with ya. But what if, instead, you picked a fashionable outfit that not only looked great but was also comfortable and cozy? You know, sometimes I used to feel like I had a big sign over my head saying, “Look at me! I’m on my period,” when I’d show up to the office in my oh-so-obvious period uniform. Once I changed what I was wearing, I felt a million times better about myself and didn’t feel like everyone knew my little secret. I know. You want chocolate. You want pizza. You want ice cream. Dude, I know. But those foods that are high in sugar and fat will just make those hormones go even crazier than they already are, making you feel even crappier about yourself. You know what I like to do at the beginning of period week? Pick up a big ole’ veggie tray from the grocery store and keep it nearby when the cravings hit. I know, veggies are not the same as pizza. But make a greek yogurt dip or hummus, and you’ll be enjoying your snack in no time. And your body will thank you for it. Above all, take care of yourself. Do things for yourself that will help you to feel beautiful and alive. Get yourself a manicure on the way home from work. Pick up a special much-deserved latte on the way into town. Relax with a book and a heating pad for a little bit each night. The thing about this time of the month is that you’ve got to find some balance. 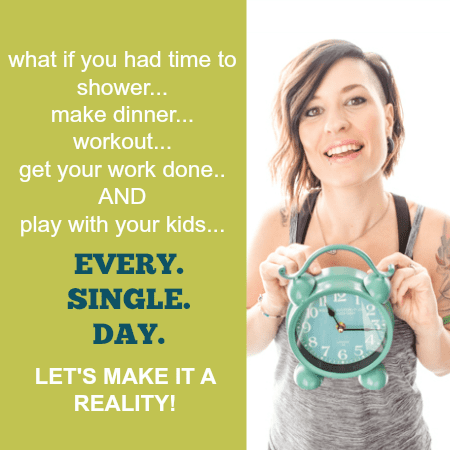 It’s important to live your life as normally as possible with healthy exercise and nutrients. Yet, this is also a time to take a little extra rest when you need it. Finding that balance will give you the sweet spot that you need to actually feel good while you’re on your period. And believe me, I know how hard that can be. But with these changes, I’m confident you won’t be dreading it nearly as much as you have in the past. 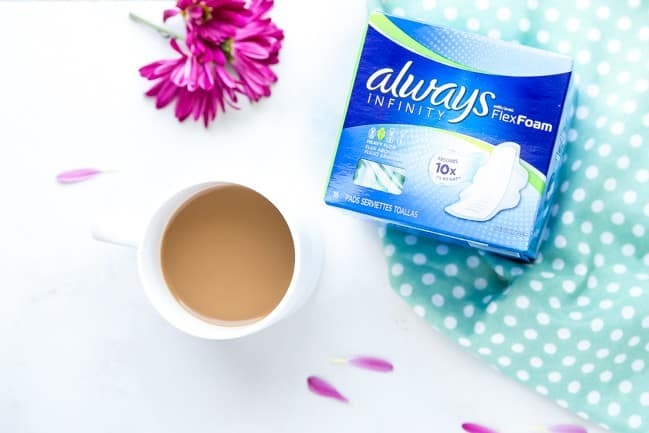 THIS POST IS SPONSORED BY ALWAYS. THANK YOU FOR ALLOWING ME TO CONTINUE CREATING GREAT CONTENT FOR YOU BY SUPPORTING PARTNERSHIPS WITH SUPER AWESOME BRANDS THAT HFHL LOVES TO WORK WITH! AS ALWAYS, OPINIONS REMAIN 100% MY OWN.